PDF portable document format is great way to future-proof Microsoft Outlook email messages for archiving purposes. This article looks at two software products that will help you bulk convert Outlook messages and their email attachments into pdf format: Pst Viewer Pro, and MessageExport, an add-in for Outlook. PstViewer Pro is a Windows desktop software application that can access Outlook email messages that are stored in different formats, including large .PST and .OST files, and individual messages in .MSG and .EML files. Functionality includes very strong email-to-PDF export capabilities. 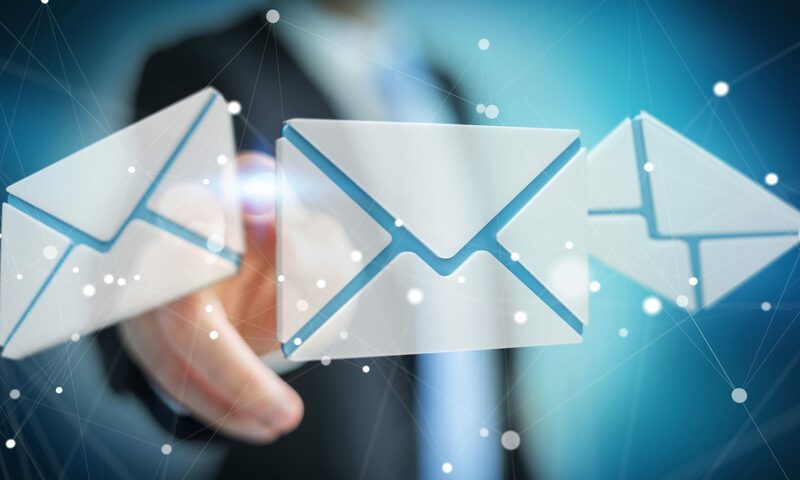 The developers give you capabilities that are difficult to find in other email conversion applications, such as the ability to export many emails into a single PDF file. You can also export individual emails into single .pdf files. Pst Viewer Pro main window. In the realm of email conversion software, file attachments are often ignored or extracted and saved to a hard disk. Pst Viewer Pro is able to convert the most common attachments into the PDF image. If they are unable to be converted, attachments will be embedded as separate files so that the context of the file to the email will remain intact. Using Pst Viewer Pro, you can perform bulk conversions of thousands of emails to .pdf format. If your Windows computer has a 64-bit operating system, the Pst Viewer Pro installer package will automatically install the 64-bit version on your computer, allowing you to take advantage of higher amounts of memory and speed. While MessageExport, the next software package we will look at, operates as an add-on inside of Outlook, Pst Viewer Pro does not require the presence of Outlook. 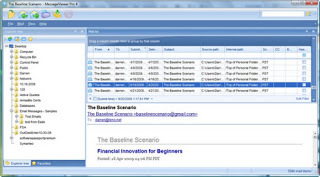 Click here to learn more about Pst Viewer Pro and download a free 15 day trial. MessageExport is an add-on for Outlook that is also developed by Encryptomatic LLC, the creators of Pst Viewer Pro. 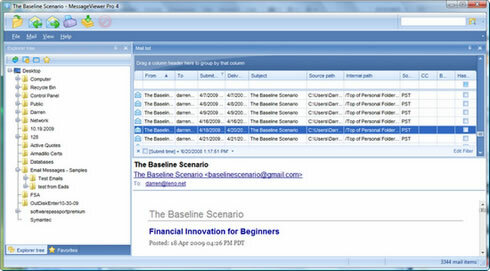 MessageExport is tightly integrated with Microsoft Outlook 2003/2007/2010 and 2013. It works with 64 bit or 32-bit versions of Outlook. MessageExport can be used in a variety of useful ways, such as processing entire folders of emails to PDF and other formats. MessageExport’s timer function lets users setup a regular process that can be performed on a folder directory. For example, say I want to convert all emails I receive from you to PDF, and then have them moved to a specific folder on my network drive. Using Outlook’s Rules function, I can move all emails from you into a specific folder. Then, I can have MessageExport process all emails in that folder to PDF and save them to my network. MessageExport will only process new emails, and can remember those that it has already converted to .pdf. Using MessageExport, you can convert thousands of emails to PDF. There is no pre-defined limit on the number of messages that can be processed. Click here to learn more about MessageExport and download a free trial.